Disneyland has outdone itself. There's no way around it! 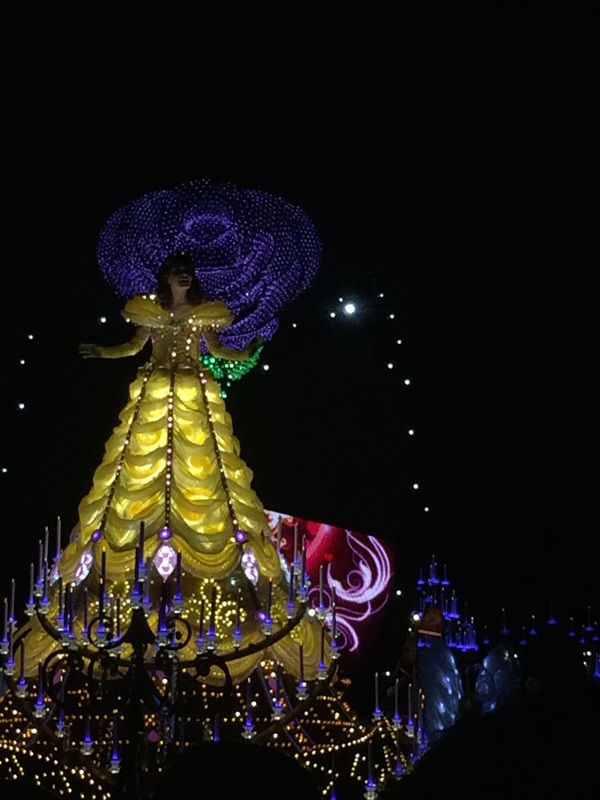 There's no saying anything didn't live up to the hype or anything should have been more thought through (ahem, Light Magic parade, I'm looking at you). 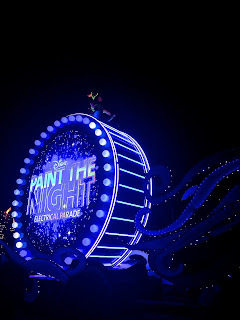 Paint the Night is really one of the most wonderful shows I've seen. Here's my full rundown! Its unbelievable bright, without hurting your eyes. The bright blue lights are beautiful and catch your eye from whatever seat you have. The music will stay with you for at least the next few days. 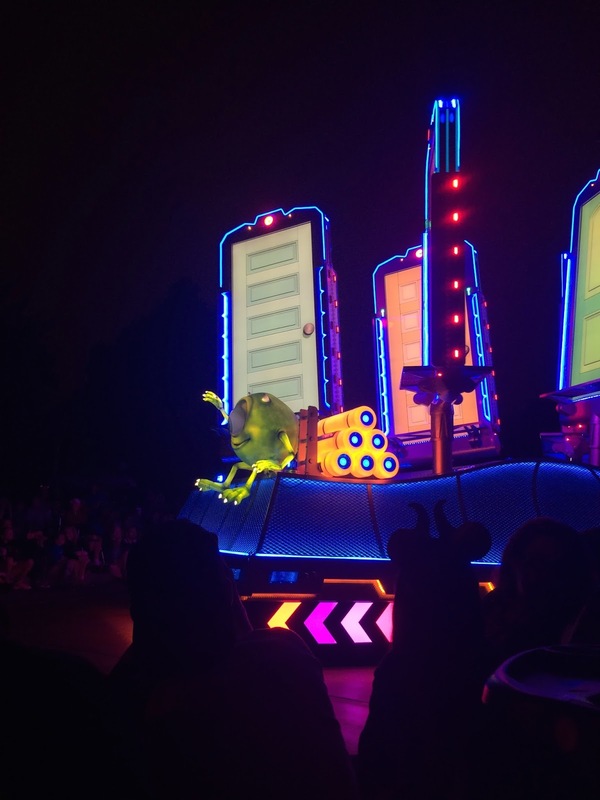 The parade is set to When Can I See You Again, the song from the end credits of Wreck It Ralph. It's catchy and easy to sing along with, without being annoying. It's all my favorites! We have characters from the classic movies (Peter Pan and Tink lead the way, with Mickey and friends finishing it all up), the "Renaissance Era" (Belle, Ariel, and the Genie all make appearances), and the modern favorites (Rapunzel is there, complete with lit-up hair, as well as Elsa and Anna). There are also some great floats from Pixar films, Toy Story, Cars, and Monsters Inc. it's a really big variety that's sure to appeal to a very wide base. They're all pretty impressive, but there are a couple that really stand out. Peter Pan sits on a big drum that shows you the Paint the Night Logo and also has an impressive explosions of diamonds! It's a great start to the show! 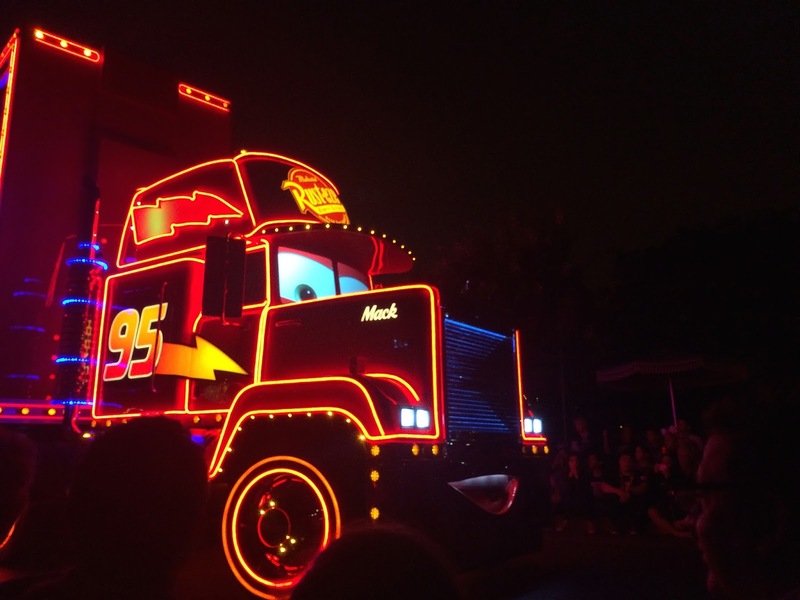 Mack, the truck from Cars, is amazing just in sheer size! He's a full 18-wheeler, which is a little bizarre to see rolling down Main Street. 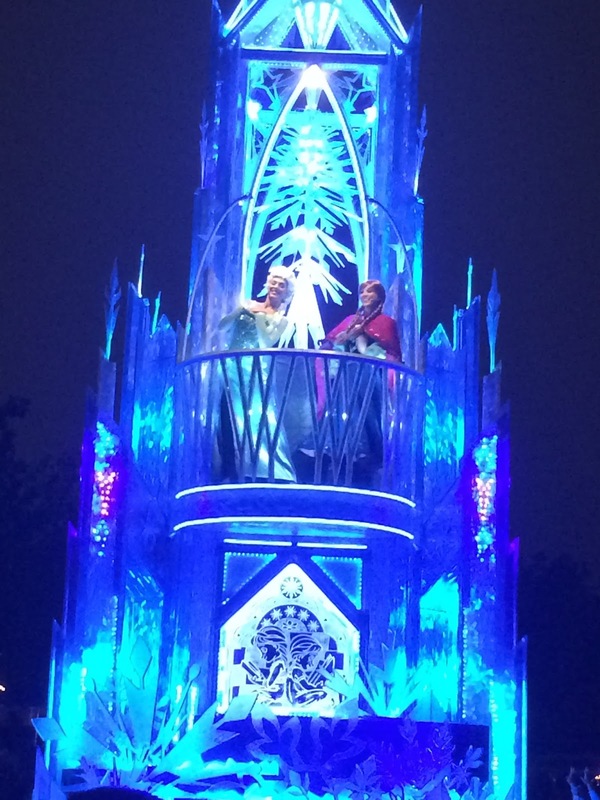 Whether or not you're one of the people who has had a little too much Frozen, I don't think anyone can deny that Elsa's ice castle is pretty amazing! It's huge, Anna and Elsa are adorable interacting together at the top, and the windows with etched "ice" pictures depicting scenes from the movie shows a kind of mind boggling level of attention to detail. Truly spectacular. I saved the best for last. All the throwbacks to the original Main Street Electrical Parade make me way too happy. They hit you with it right at the start. The voice is different, but when you hear a parade start with electronic voices saying "Ladies and gentlemen, boys and girls, Disney proudly presents..." well, you know you're in for something special. 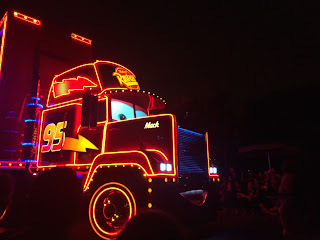 You get bits of the original Baroque Hoedown music mixed in with the new songs to remind you that this is a worthy successor to the classic Main Street Electrical Parade.